If you want a product that stands for quality and durability, then you should definitely choose the products that are made by Lennox. Heating your home can not only be comforting and beautiful, but it can also leave stress on the owners for the energy bills that heating a home can create. Purchasing an energy efficient heating unit is the way in order to relieve this stress. 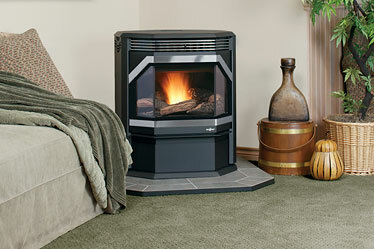 Lennox makes a wonderful Pellet Stove that is capable of heating an area of 900 up to 2,000 square feet. This is a free standing pellet stove that will give adequate heating while at the same time saving money. The major benefit of these pellet stoves is the fact that they are very easy to use. Many people have the wrong outlook when it comes to pellet stoves. They believe that there is a lot of maintenance that has to be done with the fireplace inserts or free standing stoves. However, with the Lennox Pellet Stove models, they have an ash pan that is the largest pan of any model on the market today. This allows the owner to only have to clean this pan maybe two or three times a year. This means that the owner can spend time enjoying their fireplace instead of maintaining or cleaning it. These models also employ a control system that will basically run itself once you have set it. They have a bright LED screen for easy viewing. You can set these inserts or free standing units to work up to 41 hours of operation without you having to touch it again. These units have a bay view shape so that you can have a full view of the burning fire inside.These stoves are the perfect stoves to not only save you money but to also enjoy the beauty, warmth, and ambience that they bring. Contact us today to learn more about our stoves and be sure to check out our insulation methods and other find services and products we offer.